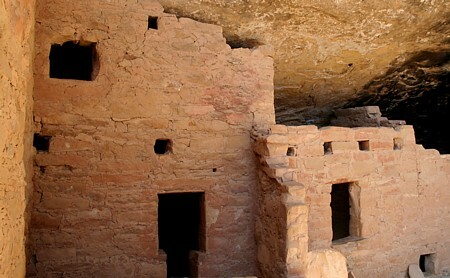 Spruce Tree House is a large archaeological site in Mesa Verde National Park, near Cortez, Colorado. 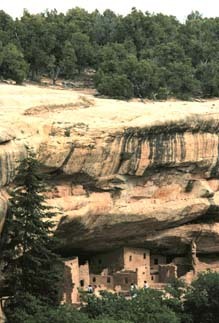 Spruce Tree House is nestled in a deep overhang. The three story buildings extend to the ceiling. This third largest cliff dwelling on Mesa Verde has 114 rooms and eight kivas nestled in a 66 by 27 meter cave. 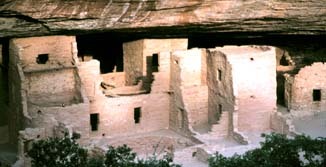 Cliff Palace and Long House are larger. Due to the protection of the overhanging cliff Spruce Tree House had deteriorated very little. 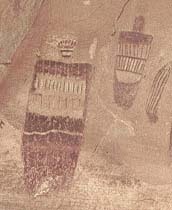 The surviving kiva roofs at Square Tower House were used as models to restore two kiva roofs at Spruce Tree House. 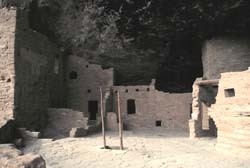 are well-developed for year-around visitation. 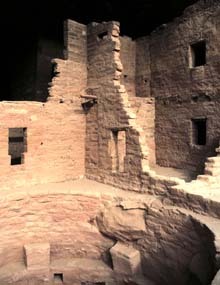 Would-be photographers should visit the ruin in the late afternoon, when sunlight enters the west-facing overhang. 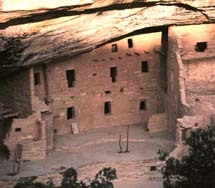 This view was taken near sunset. 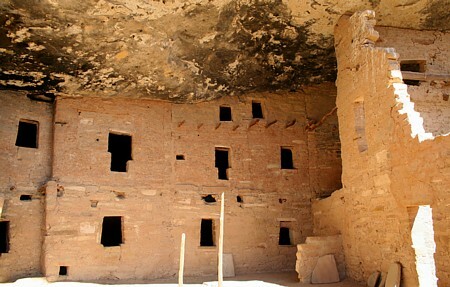 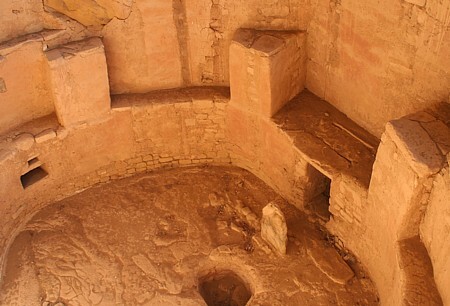 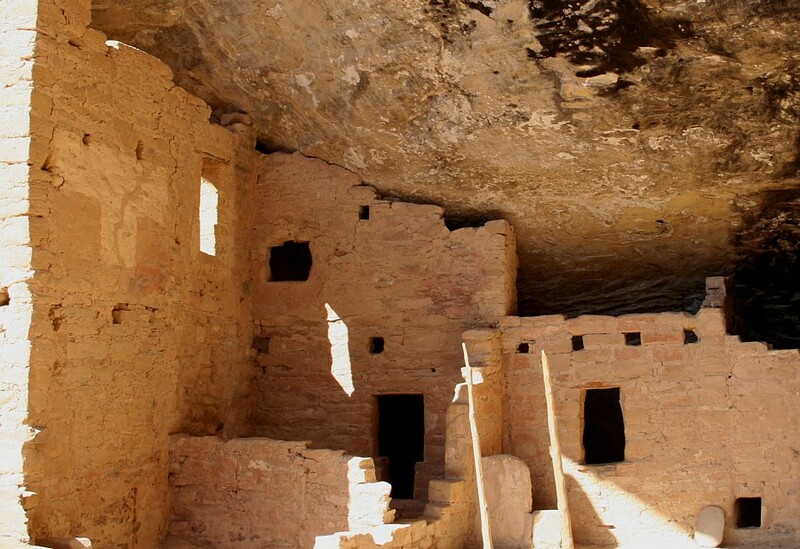 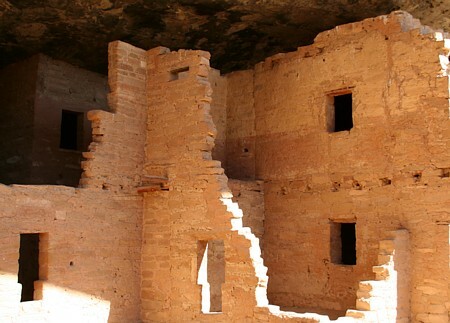 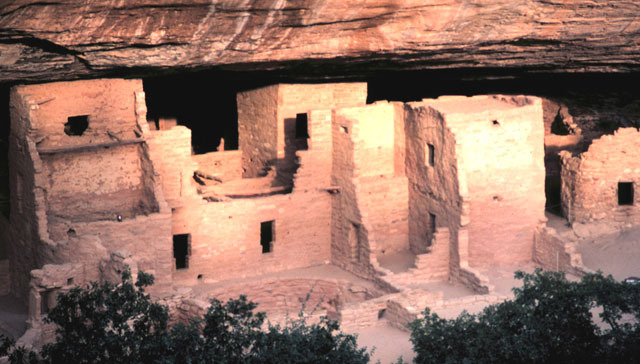 Spruce Tree House is the easiest ruin to visit at Mesa Verde. 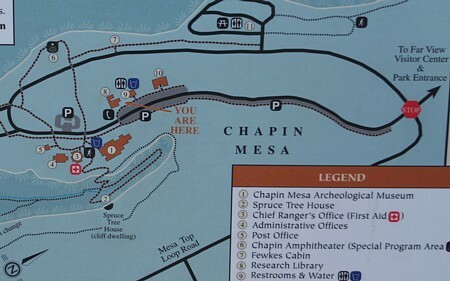 A self-guided, paved trail descends only 100 feet from across the canyon. 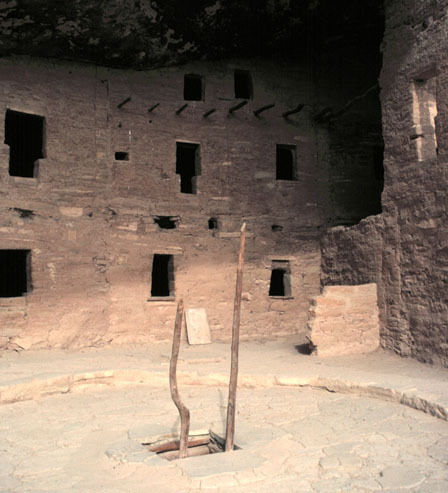 One of the restored kiva roofs, complete with a ladder, fills the foreground. 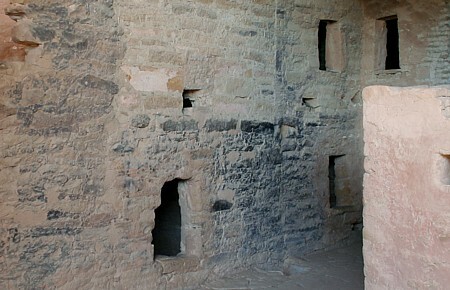 Note the T-shaped doorways. 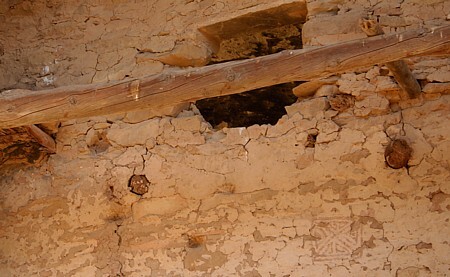 The small size of these passages minimizes structural loss. In this image the kiva roof's supporting pilasters are visible. digital form through laser scanning and the most accurate 3D models possible today.